This is a great album with songs like "Love isnt fair" an "Strings" being two highlights in particular. 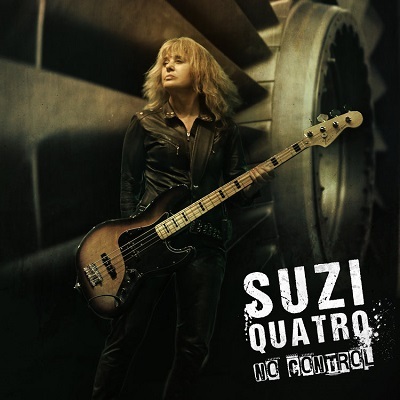 To many of us, the name Suzi Quatro is likely to conjure up memories of her playing bass as she sang hits such as “Can the can” and “Devil gate drive” on Top of the Pops. It’s hard to believe that was the early 70s, and that her music career began years earlier, in the 60s, meaning that she’s now been making music for over fifty years. She’s still not planning to retire and has signed to SPV/Steamhammer to release her latest album – No control. “Easy pickings” ranges from the bluesy section with the harmonica giving plenty of atmosphere to a much heavier rock as the song progresses. This is a great album with songs like “Love isnt fair” an “Strings” being two highlights in particular. It’s an album where there is a lot of variety but it still works as an album rather than feeling like any of the songs don’t quite fit with the others. I’m sure some of these songs will be played live when she tours in April and I’m betting they’ll sound great.